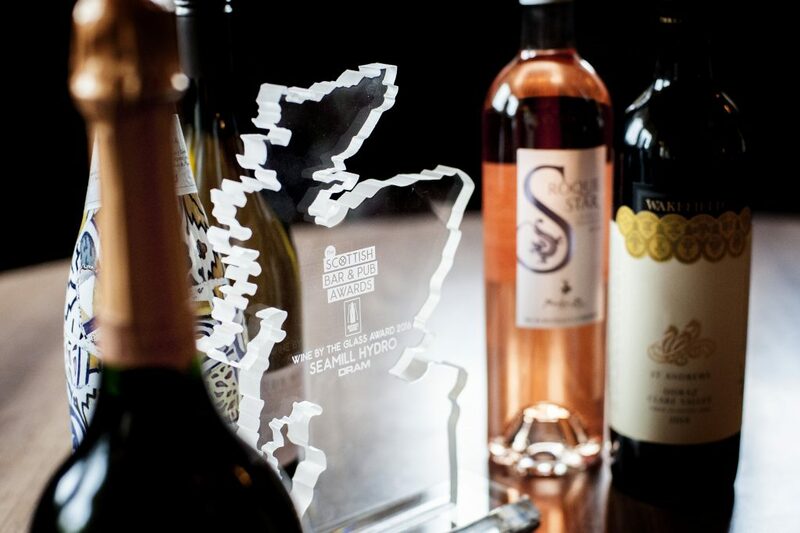 We caught up with Scott Harvey, Food and Beverage Manager and the man behind the booze at Seamill Hydro to find out more about about the award winning wine selection. Many of the wines have been tasted by our staff and a great deal of thought has been put into our choices. Our wines are preserved by using either a ‘Verre de Vin’ or “Coravin” system, ensuring that the last glass from the bottle is as fresh as the first; thus allowing us to offer a much greater selection from our list by the glass. Our wine list has all the trusted favourites, but we love to offer new grape varieties and on-trend styles. These can become as popular as the classics on the list and their quality will always speak for themselves! The standout introductions to the wine list are the amazing sparkling Cremant de Bourgogne, an interesting Rose of Malbec and a sensual Primitivo. The Simmonet Febvre, Cremant de Bourgogne is a fantastic alternative to some of the more popular sparkling wines around. With it being produced in France and using the same traditional methods as champagne, this is definitely one to try. We guarantee this will not disappoint, with the quality leaving you wondering why you haven’t discovered this wine before now! A harmoniously balanced wine with fine bubbles, a persistent foam and a wonderful length. It is fresh and powerful on the nose with aromas of ripe yellow fruits. The Crios, Rose of Malbec is in danger of becoming our worst kept secret. When Malbec is mentioned we all think of the big powerful reds from the Mendoza region in Argentina, this it isn’t. Yes, it’s from Mendoza Argentina, yes, it is still made from the Malbec grape but this has a fantastic deep pink colour. This is a rose wine for when summer comes and you only drink reds! The wine is served well chilled, yet carries all the characteristics of a light bodied red without losing too many of the Malbec notes. One to buy for the table and impress your red wine drinking friends with! A beautiful, deep, vibrant rose colour. Beautiful aromas or fresh, ripe wild strawberries. On the palate the flavours of strawberries and young cherries are accompanied by some spice notes and a clean, dry finish. This is the perfect chicken wine and a charming companion to mildly spiced dishes. The Caleo, Primitivo is produced in the South Eastern Peninsula of Salento, Italy, which is sometimes referred to as “the heel of the boot”. This wine represents some of the best value Italian red for your money. Primitivo translates to “early ripening” which is true of the grapes. They produce lots of sugar early on in the growing season, resulting in big, luscious wines, which are full in flavour. Look out for fresh figs, blueberries and baked blackberry flavours! This wine is quickly becoming the teams red of choice! A bottle can often be found adorning their tables when they are in for a meal on days off! Being from Italy this red works incredibly with a tomato based sauce, think pizza, pasta ragu or even enchiladas. Having a steak or cheeseboard? This will still tick all the boxes! We hope that you have as much enjoyment sampling the wines as we did selecting them! All content is copyright © Seamill Hydro. Design and development by Darwin Creative Media.